This is Reut. She’s got Jamaican Reggae melodies flowing in her blood stream. The Hebrew meaning of her name is friendship. She’s Netanella’s daughter, which makes her my cousin. 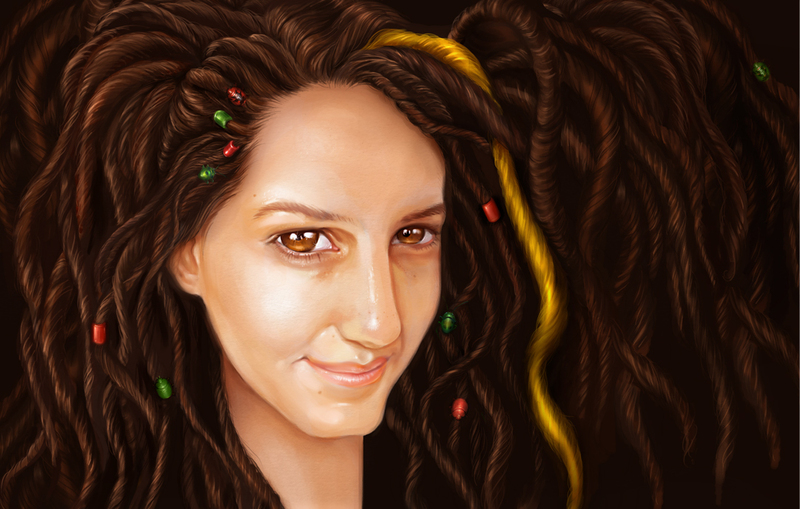 This is a cropped version of the full size portrait. I read a bit about Jewel & lady bugs. It is said they are an omen for good fortune, not less importantly, I think they look cool. 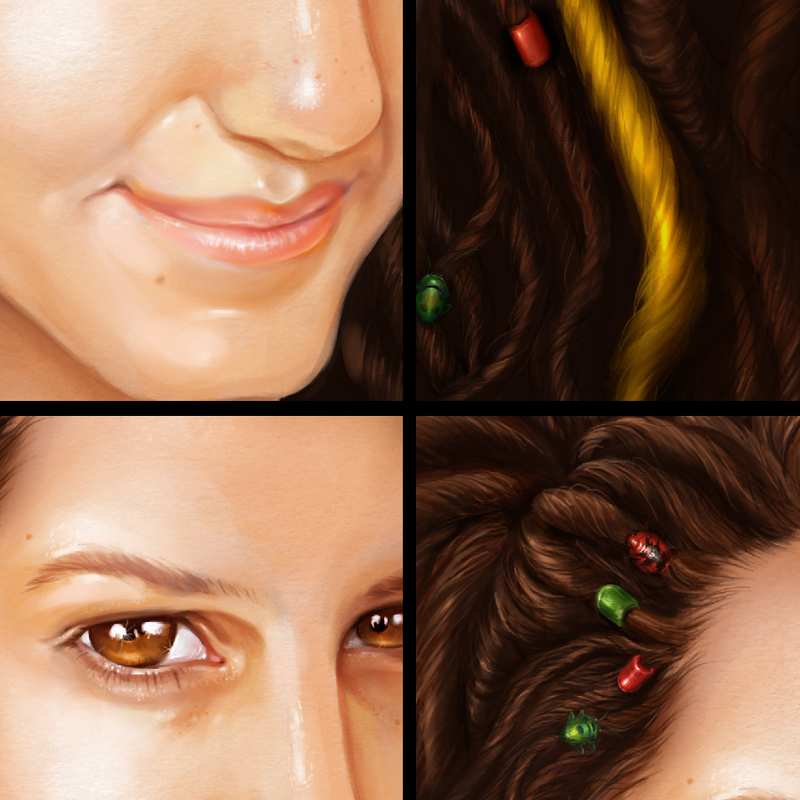 4 steps in the process. 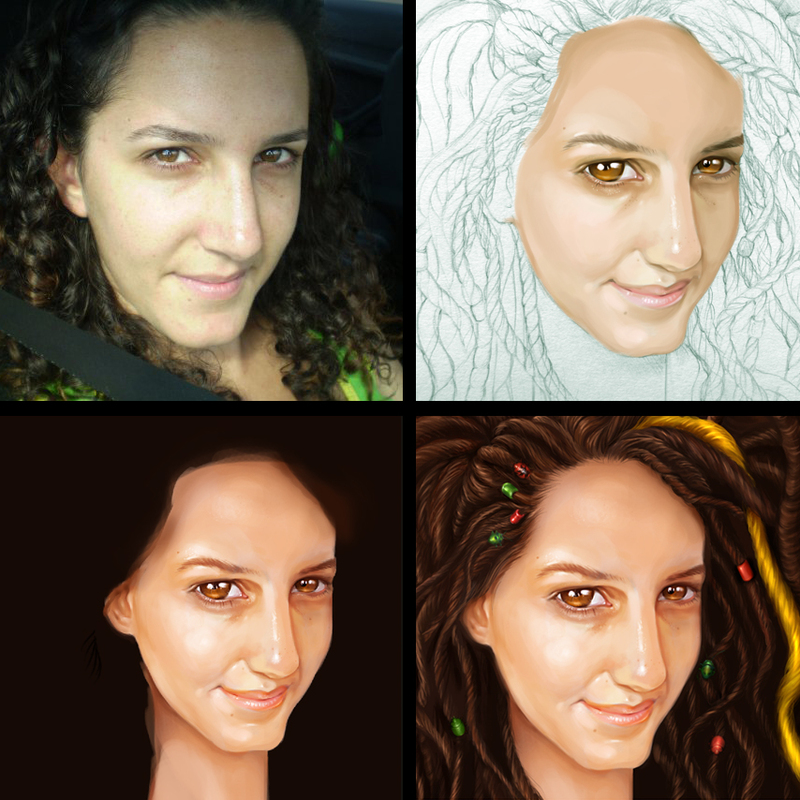 The original picture of Reut (top left) with her beautiful natural curly hair. 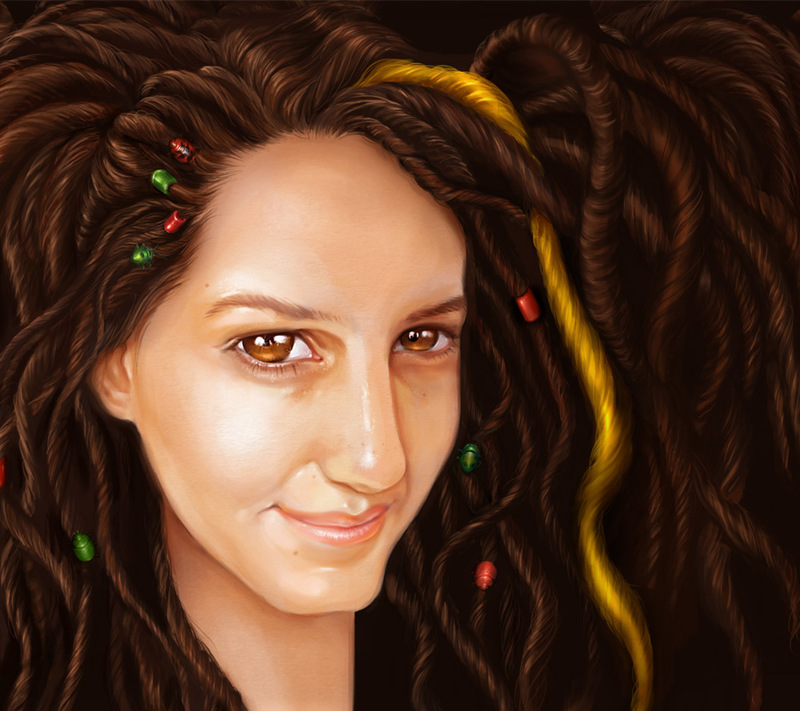 The challenge here was mostly about the dreadlocks , which took one hell of a loooong time. The thing about drawing from photographs is how easy and luring it can be to just do a “paint over”. If it’s too easy there’s no fun in it. looking and interpreting a face is much more interesting, and even if I aim to get the proportions right…my influence will always be there. In this case It’s a slightly longer neck, warmer color tones, bigger eyes, etc.